But when it comes to testing our limits and pushing ourselves, it is possible to enter very dangerous territory. 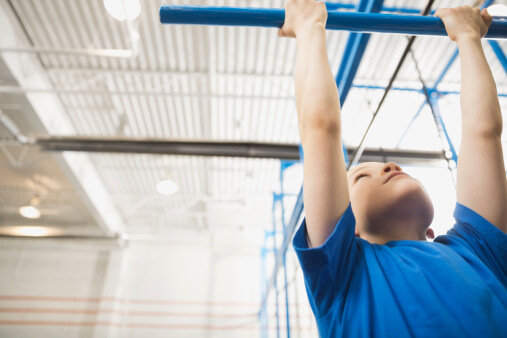 Recently, a 17-year-old boy nearly died after a very strenuous workout. Reports say he lifted weights for 90 minutes. “I gotta catch up to them and get as big as them,” he said, referring to his dad and older brother who had been bodybuilding for years. But after his workout, he experienced muscle soreness that would not subside and ended up being a lot more than just your average post workout aches and pains. “The mama bear in me kind of took over and I called the pediatrician and said, ‘I really think my son has rhabdo,'” the boy’s mother said. Rhabdo is short for a condition called rhabdomyolysis. Although rare (about 26,000 cases of rhabdo are reported in the United States each year), rhabdomyolysis is a serious, potentially life-threatening condition. It is a dangerous syndrome due to direct or indirect muscle injury. It occurs from the death of muscle fibers and release of their contents into the bloodstream. This may result in kidney failure. “Muscle breakdown causes the release of myoglobin into the bloodstream. Myoglobin is the protein that stores oxygen in your muscles. If you have too much myoglobin in your blood, it can cause kidney damage,” reports Healthline. What are some exact possible causes of rhabdomyolysis? Various reports confirm rhabdomyolysis is usually triggered by muscle injury. Usually anything that damages the muscles may cause this condition. Rhabdomyolysis caused by overexertion is sometimes called exertional rhabdomyolysis (ER). “In military populations, due to the type of intense, all out physical loads, ER is a significant threat, particularly when training under heat stress,” according to one report. This study found that rhabdo happens 7 to 8 times a year out of 10,000 military members. The pressure to be the biggest, baddest and strongest is often very intense. Professional snowboarder Amy Purdy was hospitalized with this condition about two years ago after a very intense pull-up workout. “You can prevent rhabdomyolysis by drinking plenty of fluids before and after strenuous exercise. This will dilute your urine and help your kidneys eliminate any myoglobin that your muscles may have released during exercise,” says Healthline. Like with most things both good or bad, working out must be done in moderation. A longer workout does not necessarily mean a better workout. And research shows you may have better results and lower your risk of injury if you steadily increase your intensity and give your body time to recover. Don’t forget, nutrition is also important. Whether you are a professional athlete, in the military or trying to get back in the gym or incorporate more physical activities into your life, fueling your body with adequate amounts of the essential nutrients like proteins, carbohydrates, fats, water, vitamins and minerals is a must. You will find it difficult to reach your workout goals without the proper fuel. So work hard, hydrate and fuel right. But remember, “No Pain, No Gain” is not necessarily the path to better exercise performance and a stronger body. It could even be deadly.